independent champagne and wine expert, speaker, educator, TV presenter and writer. Please note that Champagne Jayne® does not buy, sell, import or distribute any champagnes or other non-champagne sparkling wines, nor does she trade positive reviews on the Champagne Jayne® website or any other social media channels for payment. 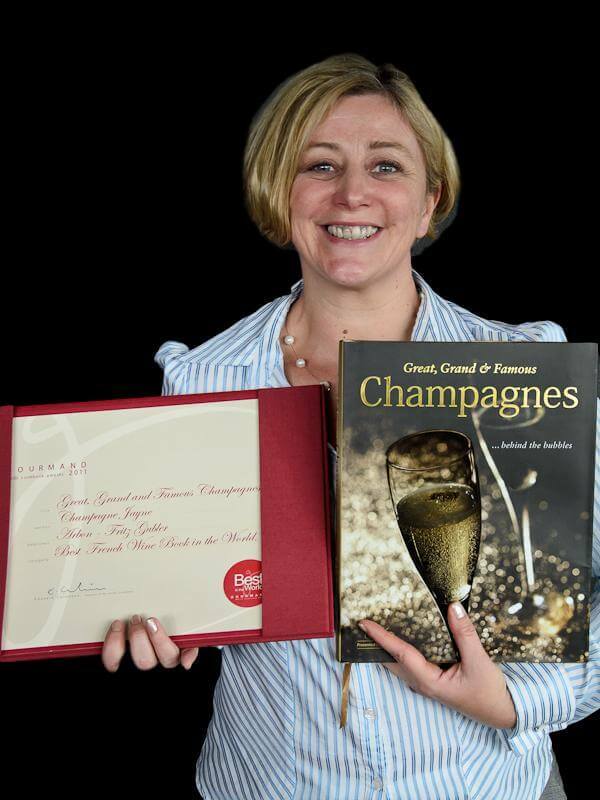 With a democratic palate, Champagne Jayne® is also an expert in the sparkling wine category overall. Sparkling wines provide context to champagne appreciation, and their qualities should also be separately acknowledged and understood. Champagne Jayne® will always ensure that sparkling wines that are not champagne wines are appropriately distinguished. As a freelance wine communicator and lifestyle journalist, Champagne Jayne® does accept the usual media and industry event invitations, wine samples, travel related disbursements and other appropriate and acceptable arrangements to assist with her own private study and educational field work, and she may write favourably about wines that she personally enjoys. However, all the material on the Champagne Jayne® and Drink Better Bubbly with Champagne Jayne® websites has been created by Rachel Jayne Powell, is protected under Australian Copyright Law, and cannot be reproduced in any format without written permission. To arrange delivery of wine samples please contact cj@champagnejayne.com. 'CHAMPAGNES - BEHIND THE BUBBLES'! you will receive a download link in your inbox shortly and join the Champagne Jayne VIP List! Join Champagne Jayne's campaign to Drink Better Bubbly without prejudice!